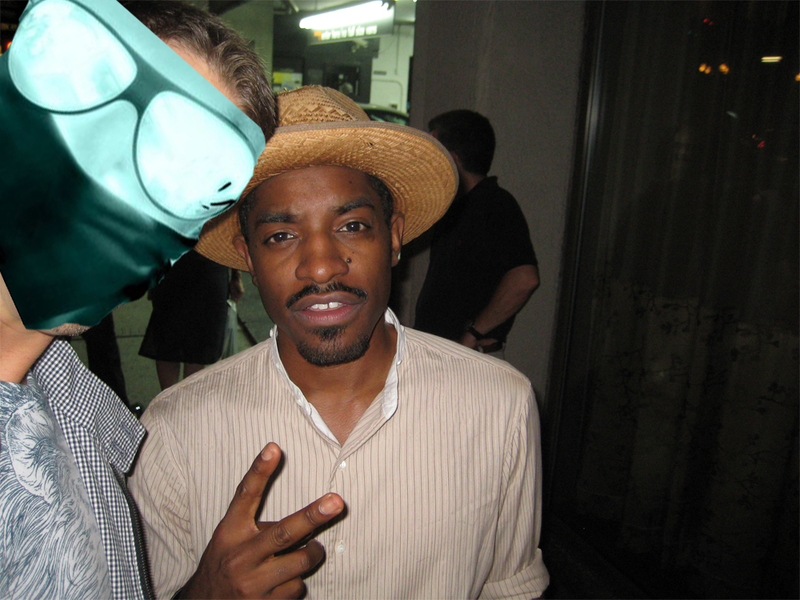 Went to High Bar last night and ran into the very spry Andre 3000. He was leaving the rooftop yuppie fest rather quickly and ran into a handful of bothersome Asian tourists, so I took the opportunity to snap a quick one. I imagine even he was also overwhelmed by the $15 well drinks. This entry was posted on July 30, 2008 at 4:05 pm and is filed under Heart of the City, music with tags andre 3000, asian tourists, concrete bedlam, high bar, hip hop, midtown, new york city, nyc. You can follow any responses to this entry through the RSS 2.0 feed. You can leave a response, or trackback from your own site.